Travis Scott Sued $20M By Three 6 Mafia For Allegedly Jacking "No Bystanders"
Beyoncé's Dad Announces "Survivor: The Destiny’s Child Musical"
7 Travis Scott Sued $20M By Three 6 Mafia For Allegedly Jacking "No Bystanders"
5 #DXCLUSIVE: Kill The Motherboard Recruits "Hip Hop Spiritual Guru" Eric Biddines For "The Water"
Kimora Lee Simmons has repurchased her iconic streetwear brand Baby Phat and plans to relaunch the line later this year. 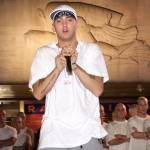 The fashion designer, entrepreneur and former model announced the news on Friday (March 8) in a press release. 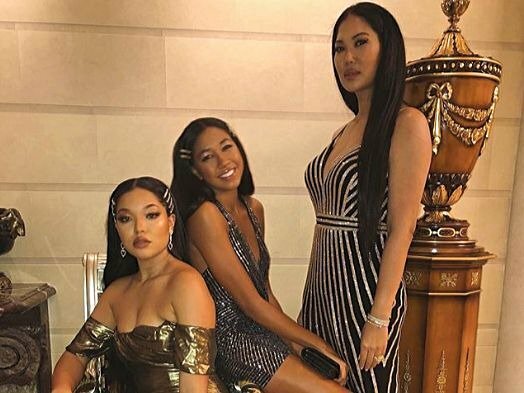 Kimora’s two daughters with Hip Hop mogul Russell Simmons — 19-year-old Ming and 16-year-old Aoki — will also play integral roles in the brand’s relaunch. Ming expressed her excitement in an Instagram post. In an interview with Bloomberg TV, Kimora explained why the Baby Phat relaunch is paramount. Baby Phat’s original parent, Phat Fashion, was founded by Russell over 25 years ago, while Kimora served as Baby Phat’s creative director from 2000 to 2010. In 2004, the company was acquired by Kellwood Co. for $140 million. During its heyday, Baby Phat was Phat Fashion’s most successful ventures with sales in excess of $1 billion. DJ Paul wants to tear da court up! #DXCLUSIVE: Taylor Gang's finest shares his thoughts on watching his growth from his humble rap beginnings to a Grammy Award-winning, diamond-selling, stoner rap star.